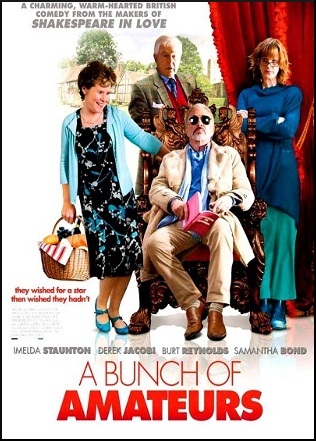 STARRING Burt Reynolds, Samantha Bond, Imelda Staunton, Dereck Jacobi, Charles Durning. SYNOPSIS Jefferson Steel is use to a charmed life. Once a great Hollywood action hero, now the aging star is feeling the pinch of age. Desperare to restart his career, Jefferson conviences his agent to accept an invitation for a British Theatre production, where he will star as King Lear. Not everything is as it seems though. Mr Steel is about to be welcomed into the world of a quiet village, where his part will be played in a barn theatre. Can the villagers save their theatre from closure and get a star led performance ... all for charity! ?